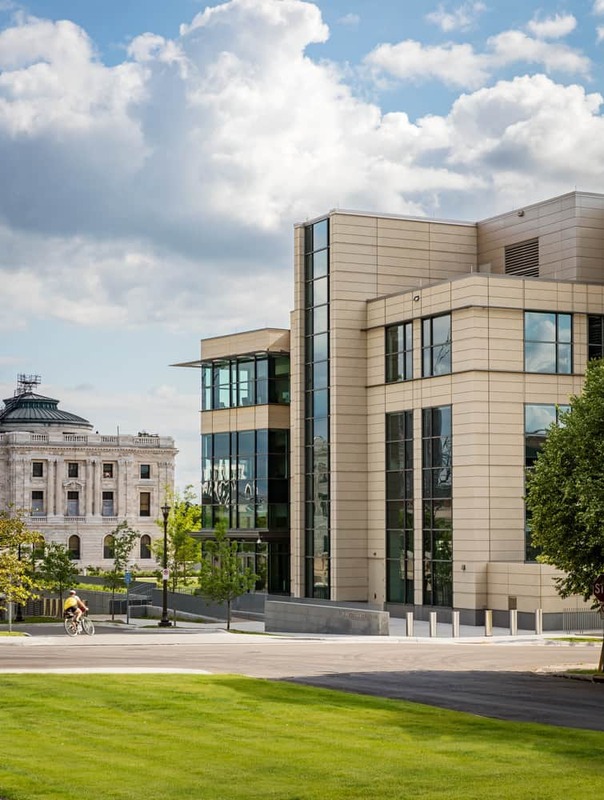 The first new legislative building neighboring the Minnesota Capitol since 1991, the 293,000-square-feet Minnesota Senate Building stands in deference to the Capitol it is designed to complement. 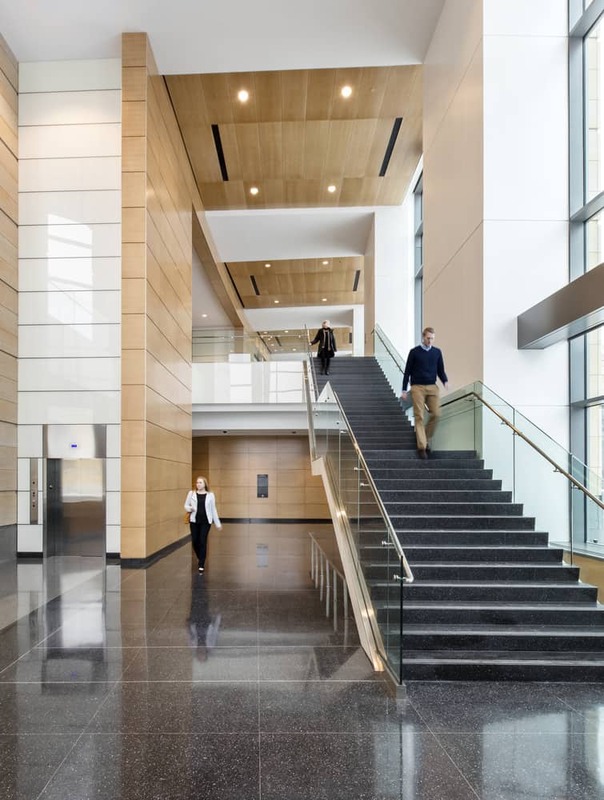 Made of a hand-selected Minnesota limestone, quartered White Ash wood, and Danby marble, it also stands as a testament to Minnesota craftsmanship and commitment to architecture for the public good. 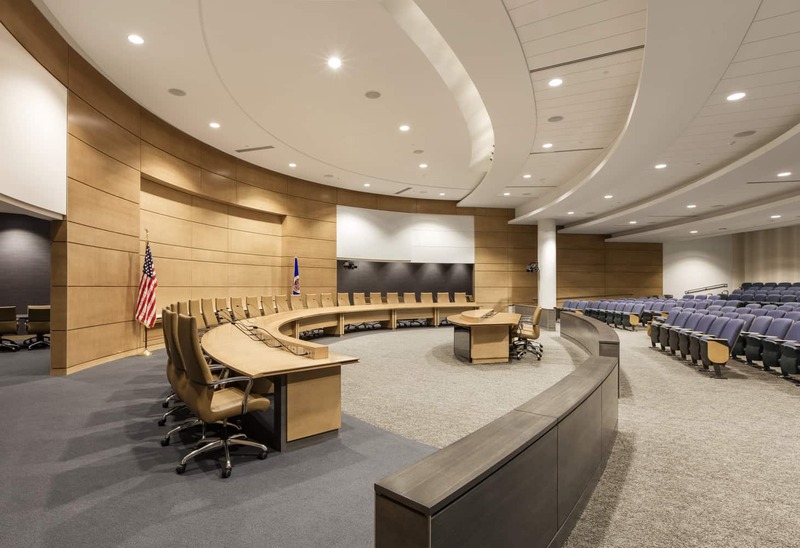 Precipitated by greater citizen interest and participation in the state legislative process as well as a reduction of offices in the Capitol because of extensive renovations, the Senate Office Building is designed with offices for all 67 state senators as well as three hearing rooms, including the largest one on the Capitol Complex seating 250 people. 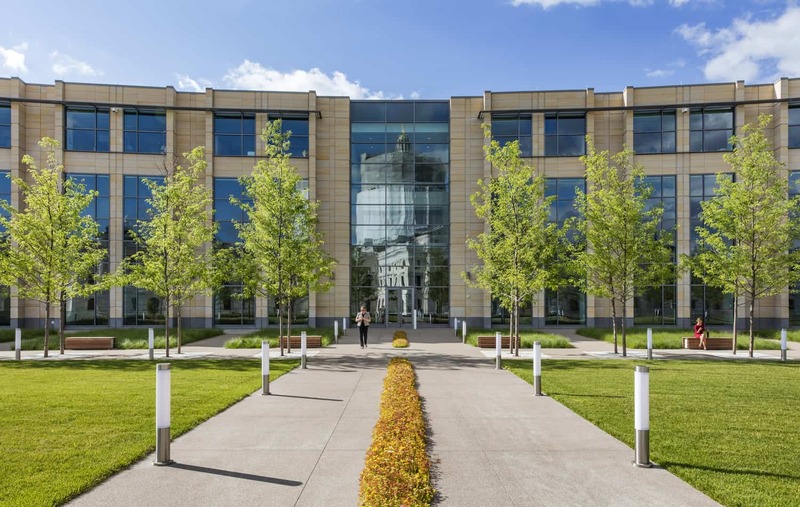 Supporting more than 360 workers, the building is a year-round working facility, but, more importantly, it is a facility to foster connectivity and collaboration, bringing together in a working, collegial atmosphere the political ideologies that shape state policy and giving all Minnesotans access to the process whether non-disabled or living with a handicap. 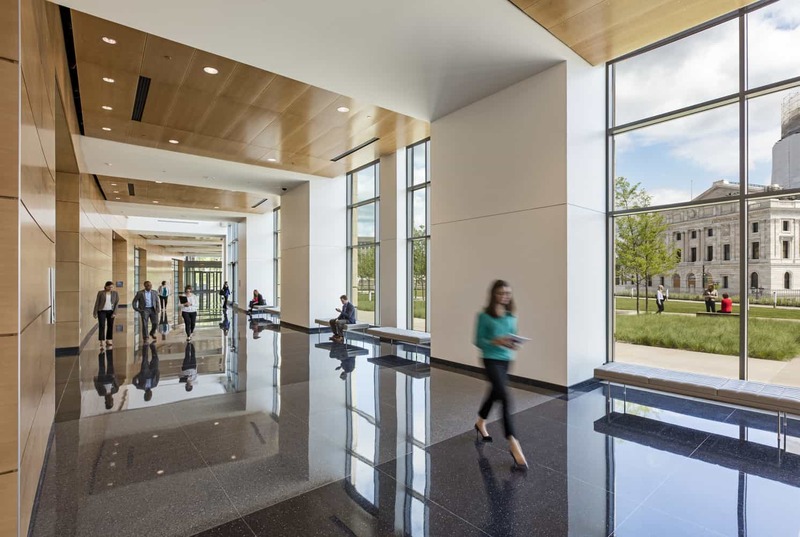 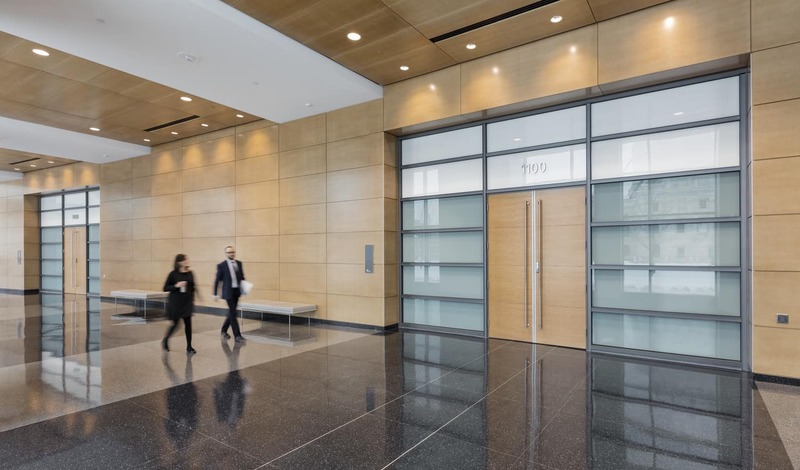 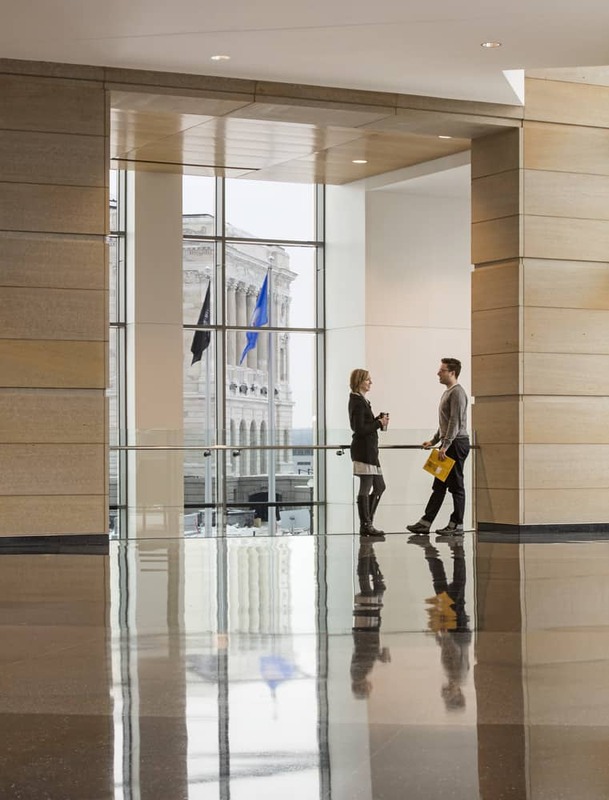 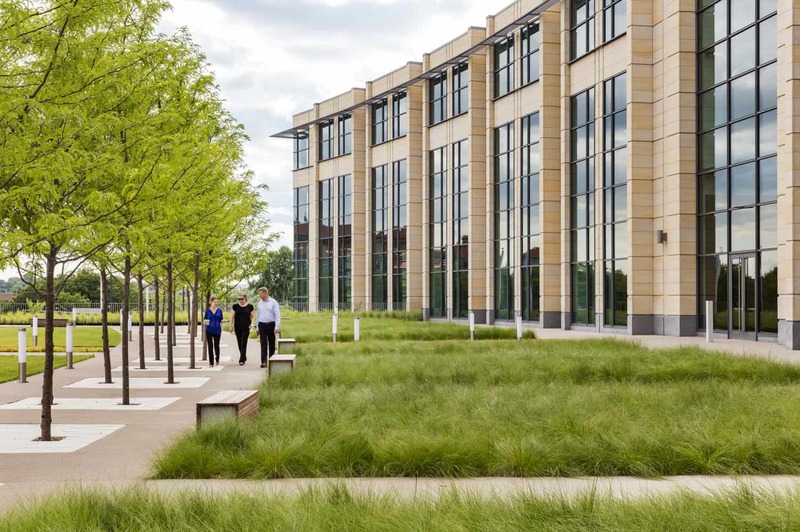 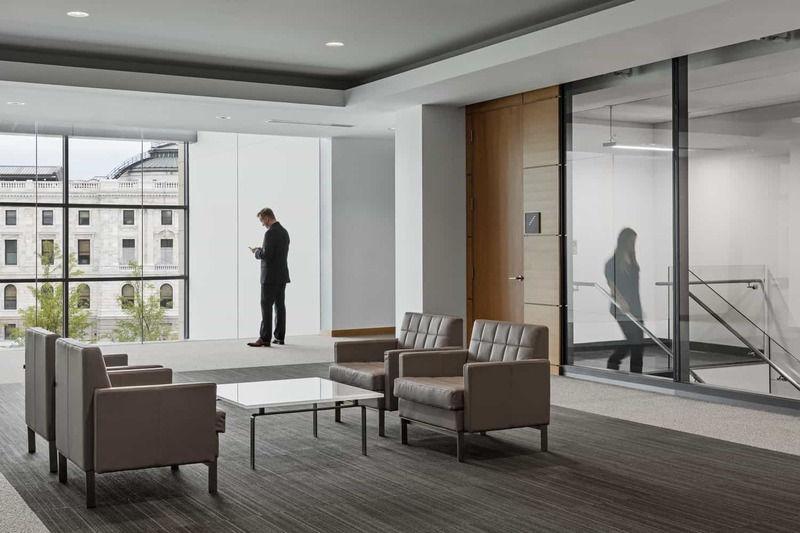 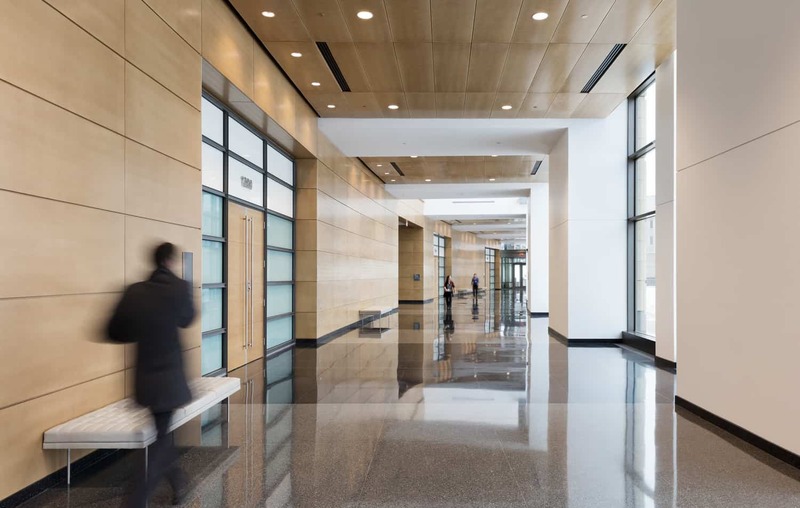 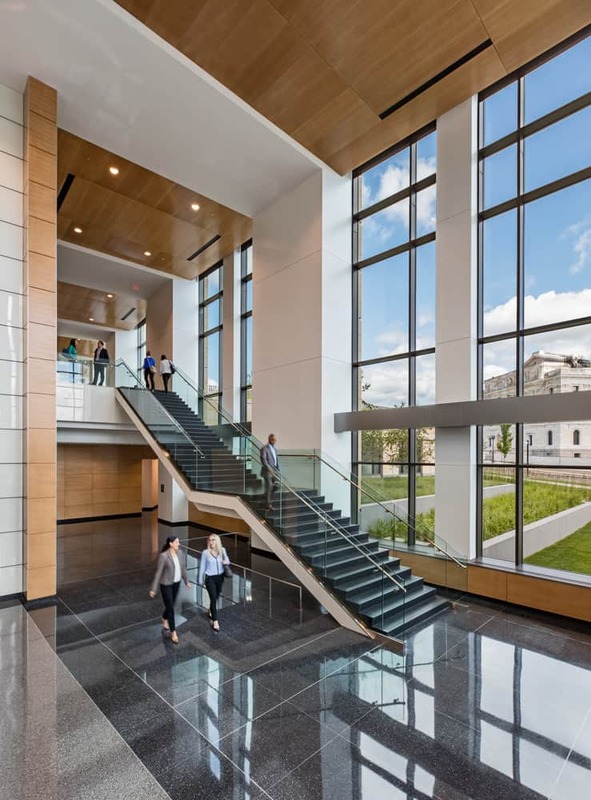 The goals outlined set a high-bar for this building, and those aspirations were mirrored in the design and construction of this legacy building, including the timeline, cost performance, and shifting priorities. 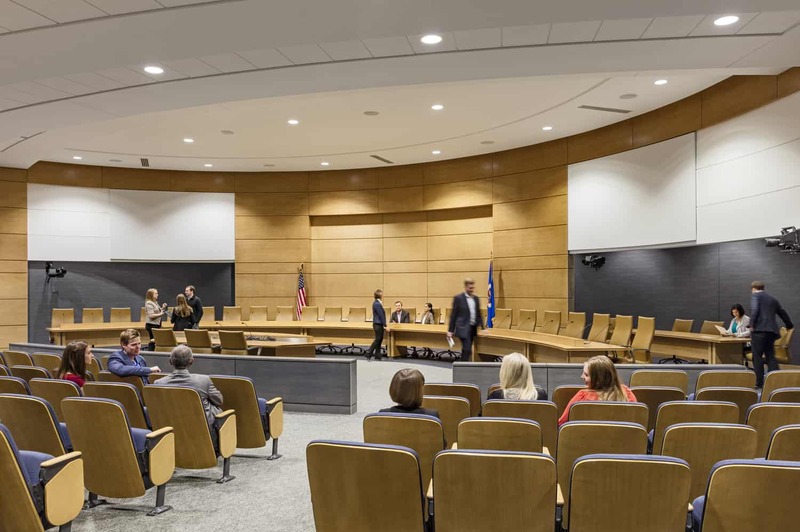 In order to accommodate the 2016 Minnesota Legislative Session (that would not have access to a shuttered, under-construction Capitol), the building required occupancy by January 2016. 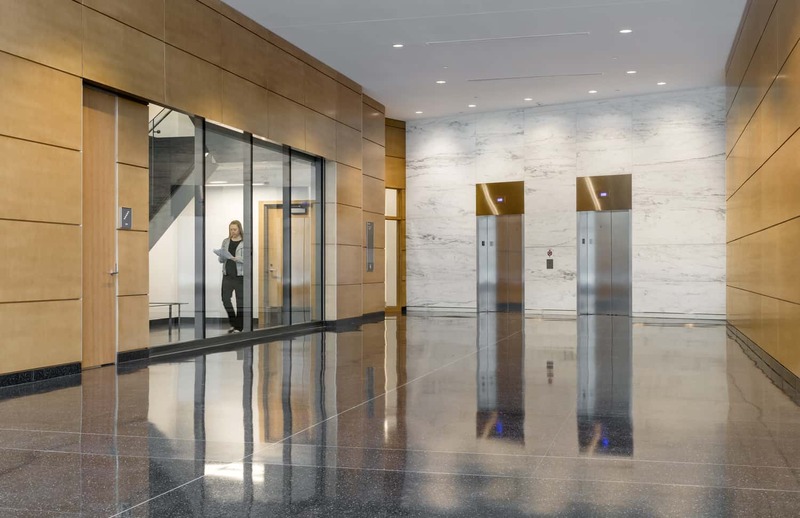 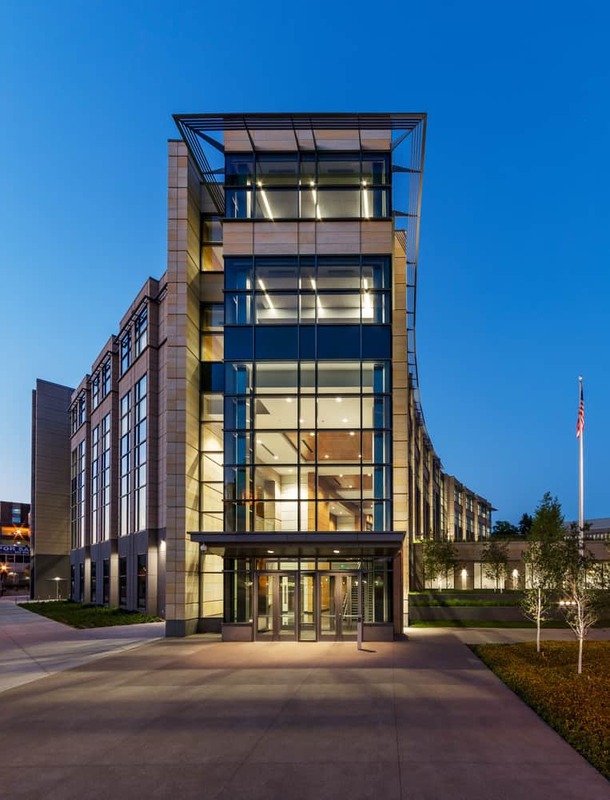 With the project awarded to the team in September 2013, design-build was determined to be the best option for completing the project on time, on budget, and with a design befitting of architecture that Minnesotans have come to expect from democratic facilities. 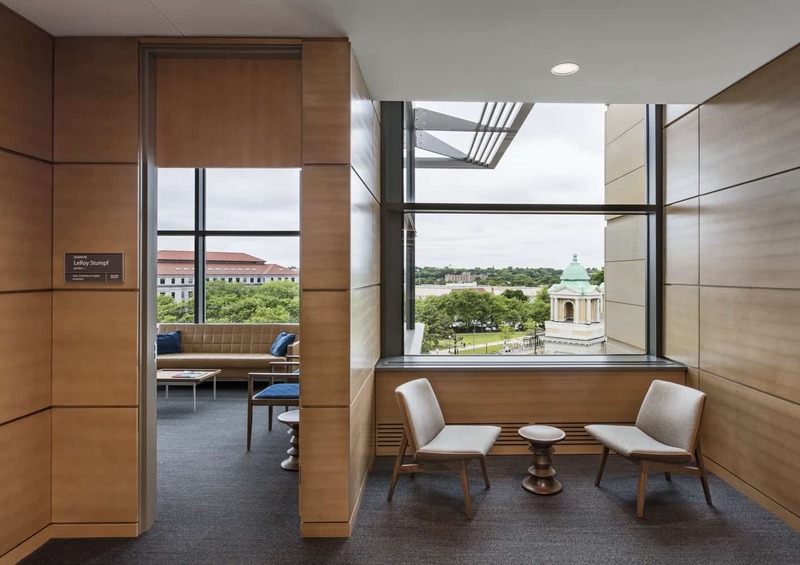 Designed in collaboration with Pickard-Chilton. 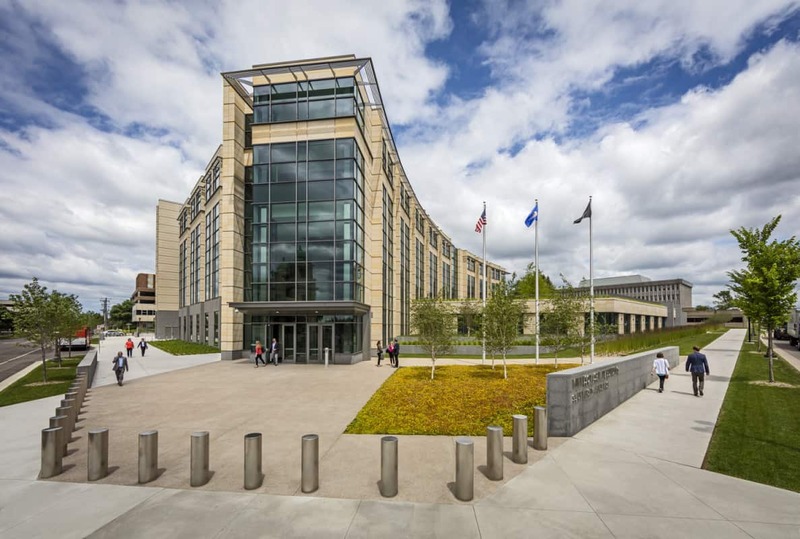 Components: Sixty-seven legislator offices; workspace for 360 personnel; three hearing rooms, one accommodating 250 people and two for 150 people; state-of-the-art television production studio; underground parking including access for the mobility-impaired; pathway connection to underground Capitol Complex tunnel system linking to Minnesota Capitol; connected to District Energy St. Paul heating system.